They are easy to use and construction. Can be used in agriculture and forestry, practical handles for easy transportation machinery. 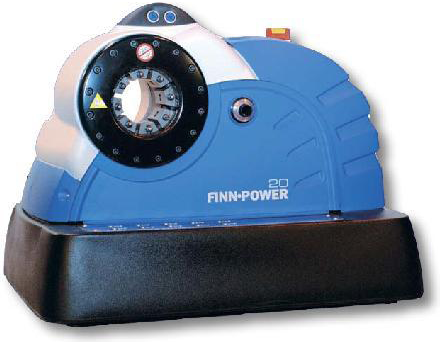 Micrometer control provides smooth, highly accurate pressure. 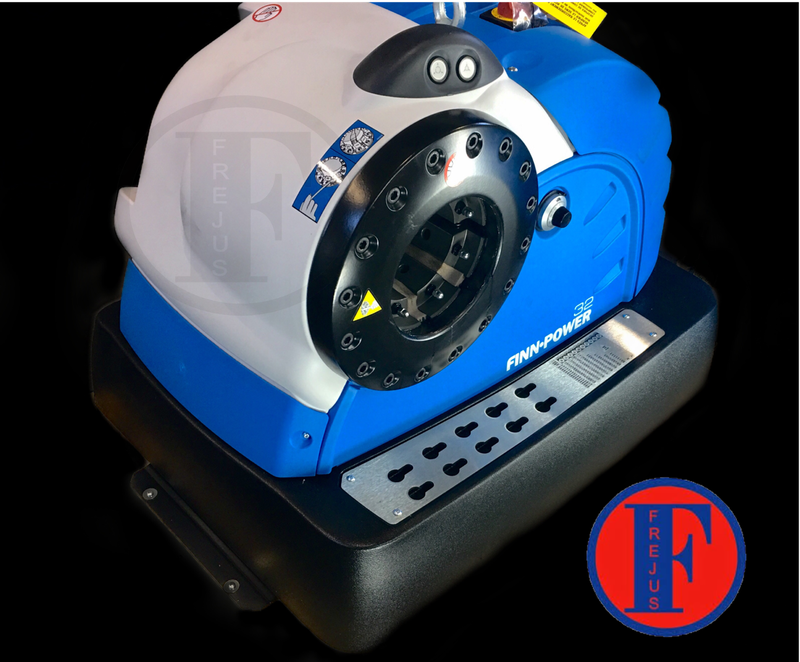 With the practical embodiment, the manual operation becomes very simple. 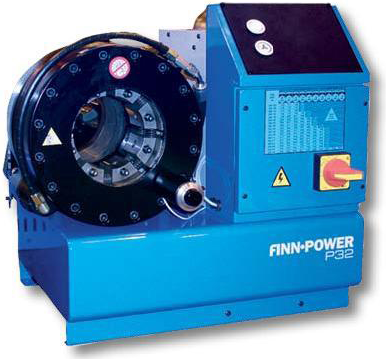 Hydraulic Press Finn-Power P16 is ideal for crimping hydraulic hose ends in the workshop. 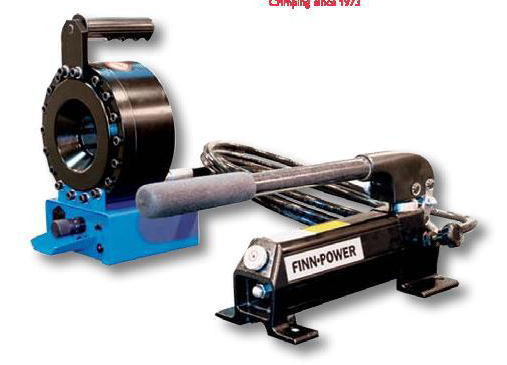 Crimping can be applied to hydraulic hoses with single and double braid to DN 25. 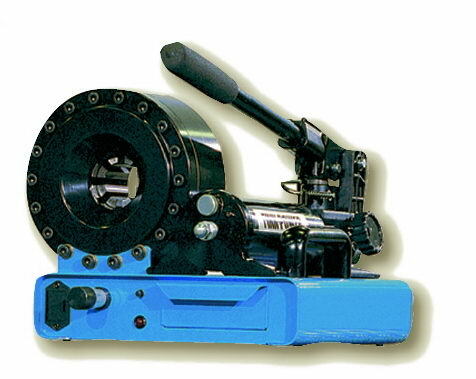 It is also suitable for crimping hoses braided steel quad to DN 20. The mobile device can be moved to make repairs at the point of failure. 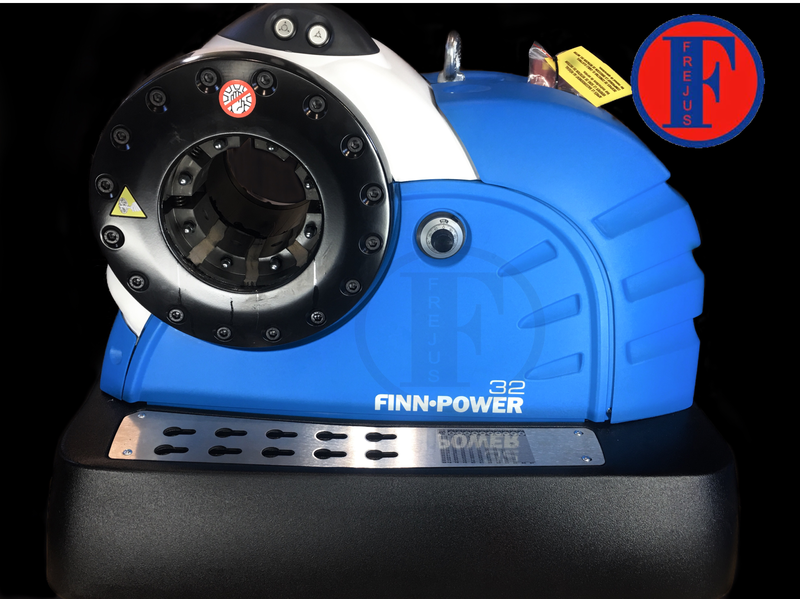 P20 Hydraulic Press Finn-Power suitable for hydraulic hoses with single and double braid to DN 40 and braided hoses quad to DN 32. Max. 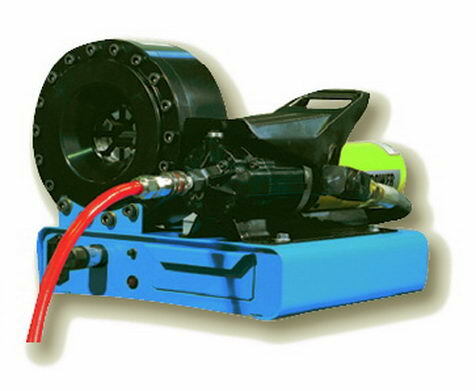 hose diameter : 1"
Pneumatic foot pump has an output ot up to 700 bar. Kit contains Pipe fittings, connectors and hose L = 2 mtr. 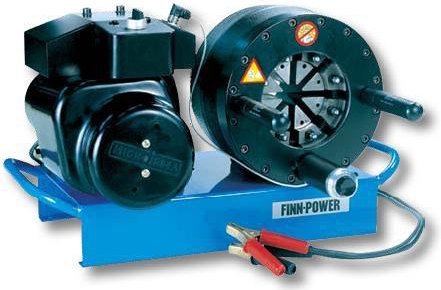 This set is suitable for a P16HP hose press. 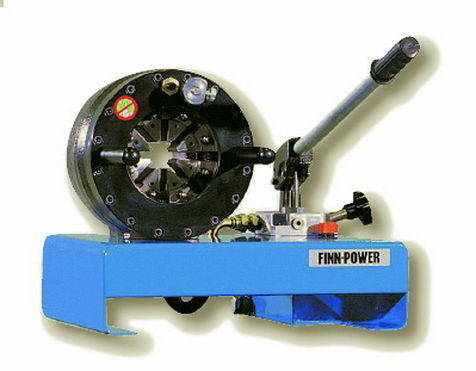 >> - P20CS12V hose crimper with very high crimping force. 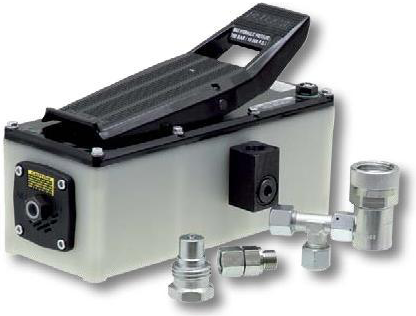 This hose crimper is perfectly suited for use in service trolleys. 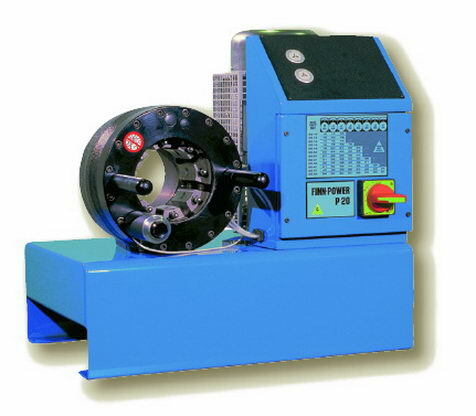 Hose: 4-spirals up to DN 51/2 "
Press for serial production, with electromechanical regulation. 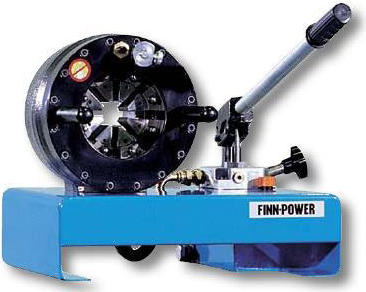 - a compact version for small-lot production? - smooth adjustment of the micrometer screw. 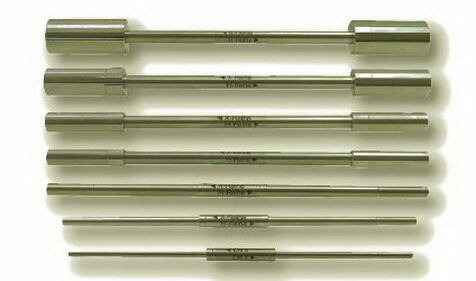 Tools: standard jaws - P32 sets.